There’s something quite ironic in how this pairing have chosen to title their release. 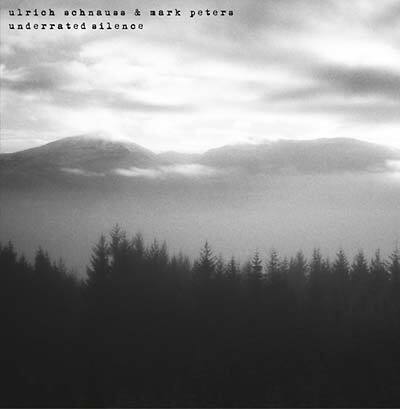 Ulrich Schnauss, a man more than qualified in the art of straining lo-fi electronics through a fine, shoegaze mesh, and Mark Peters, himself a guitarist in the shoegazing outfit “The Engineers”, are not people you would initially expect to enjoy silence. Not least because their profession rotates about disturbing this “Underrated Silence”, especially with shoegaze as a whole often expanding to fill every quiet gap available. Ignoring the title, the album develops just as you’d expect considering the musicians’ previous works. Soft, rich synthesisers create a warm backdrop: layers so thick and distorted they tend to spill into each other, forming a fluid, ever changing ground with which the melodies can interact. Peter’s guitar takes centre stage: calmly progressing atop each piece, rippling in the haze beneath it. Percussion discretely persists in the background; vocal samples emerge from the void only to sink back in again. “Underrated Silence” is nothing if not lazy, with its tracks quietly waltzing into climax, and their tones so impossibly optimistic. This peaceful atmosphere is paramount to truly understanding the artists’ goal: to make music that echoes the qualities of silence. “Underrated Silence” does not contain music that will surprise or challenge you; it simply swans along at its own leisure. Its sugary-sweet complexion is a constant, with the duo rarely deviating far from that tone. Sometimes it will build up to a crescendo and sometimes it won’t, the point is that you don’t care. Except… I do care. In so much as the album’s vision becomes its greatest flaw, since while “Underrated Silence” swells to the point of bursting with its multitude of layers and textures, there’s surprisingly little to sink your teeth into. It’s a very one-sided view of a peaceful, summer afternoon with seldom to discover beyond the first listen. Forming a picture perfect snap of tranquillity, yet with the noticeable absence of any other motif or purpose it runs the risk of descending into background music alone. It remains uncompromisingly beautiful, of course, most notably in the steady unfurling of Gift Horses Mouth and the slow-motion stampede that is Yesterday Didn’t Exist, but with little to relate to in the album this beauty can do no more than pass by you with its dancing gait. As something to observe instead of experience. It would be premature and no doubt rather cruel to dismiss the album entirely because of this one flaw, and indeed “Underrated Silence” still holds up very well in this ever critical light. Schnauss and Peters have managed to craft a thing of abstract, swelling beauty, one completely mirroring the nondescript, peaceful values of silence itself, but it falls short of any true greatness; too involved in its own values to truly connect.